Hundreds of shoppers packed downtown Pomeroy on Monday for the annual Christmas Open House shopping event. The open house is held each year on the first Monday of November to officially kick-off the Christmas shopping season. 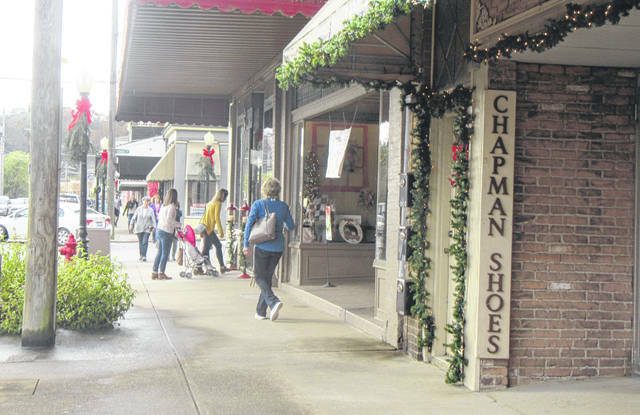 Other upcoming events for the Pomeroy merchants include Small Business Saturday (Nov. 24) and shopping hours following the Pomeroy Christmas Parade on Nov. 25.
https://www.mydailysentinel.com/wp-content/uploads/sites/14/2018/11/web1_11.6-Shopping_ne2018115151023244.jpgHundreds of shoppers packed downtown Pomeroy on Monday for the annual Christmas Open House shopping event. The open house is held each year on the first Monday of November to officially kick-off the Christmas shopping season. Other upcoming events for the Pomeroy merchants include Small Business Saturday (Nov. 24) and shopping hours following the Pomeroy Christmas Parade on Nov. 25.